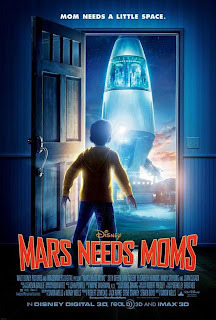 Take out the trash,eat your brocolli-who needs moms anyway?Nine year old milo (Seth Green) finds out just how much he needs his mom ( Joan Cusack) when she's nabbes by Martians who plan to steal her mom-ness for their young. A quest to save his mom-a wild adventure in 3D that involves stowing away on a spaceship,navigating an elaborate,multi-level planet and taking on the alien nation and their leader (Mindy Sterling). With the help of a tech savvy,underground earthman named Gribble (Dan Fogler) and a rebel Martiangirl called Ki( Elisabeth Harnois) ,Milo just might find his way back to his mom-in more ways than one.